10.2 x 7.5 x 4.6 cm. 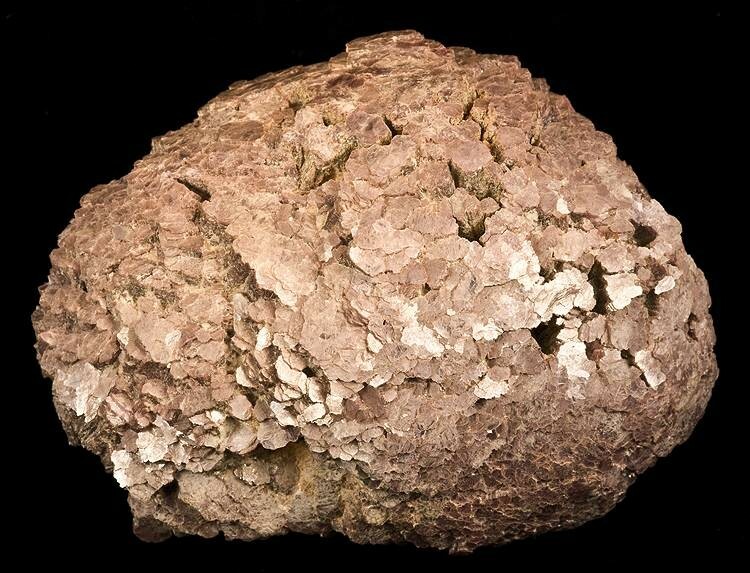 A very large example of the pretty and fascinating "ball" lepidolite, where the light pastel-lavender lepidolite forms columnar masses that terminate in a curved shimmering surface like fish-scales. This is solid lepidolite. This is a very unusual old-time specimen from East Africa (with an old Burminco label).